Lavender Essential Oil can be used in many ways. Always make sure you use 100% Pure Lavender Essential Oil such as Wolds Way 100% Pure Lavender Essential Oil as there are many cheap imitation oils on the market. You can guarantee a pure essential oil if the oil has been grown at the same place as it is distilled. Always ask if the oil is harvested and distilled under one roof. The medicinal benefits of 100% Pure Lavender Essential Oil are what sets it apart from the rest! 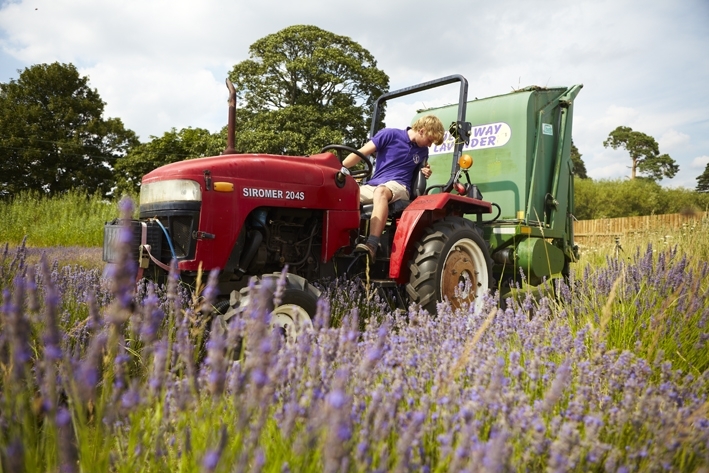 Wolds Way Lavender Essential Oil can be used as a natural antiseptic. It can help to reduce blistering and pain on minor burns. We always have a bottle in our kitchen at Wolds Way Lavender. Use our 100% Pure Wolds Way Lavender Essential Oil on scars or after an operation to help with stretch marks. Rub one or two drops of neat Lavender Oil in scars to help with the healing process and rejuvenate skin. 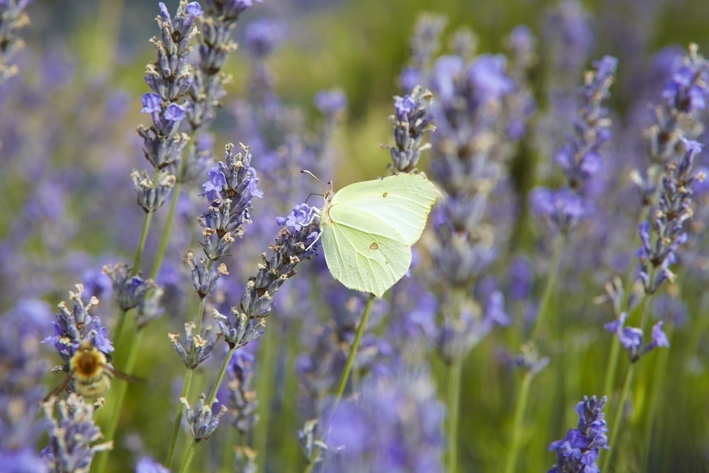 Keep Lavender Essential Oil in a burner or in water during the summer and it will deter flies. Animals can benefit by having a few drops on their necks to keep flies from them and help with fleas and tics. Lavender is both calming and mildly sedative. Rub our Soothing Lavender Foot Balm into the soles of your feet before bed-time; containing our 100% Pure Lavender Essential Oil; it works a treat. The nurses tell us it’s great after a night shift to soothe their aching feet. Lavender Essential Oil can be used in sprays to make your rooms smell fresh. Suffer with headaches? Use a cold-compress with a few drops of 100% Pure Wolds Way Lavender Essential Oil and apply to temples. Used regularly in your bath Lavender Essential Oil should help to prevent migraine attacks and headaches. Depression can be helped by using Lavender. Due to it’s ‘balancing’ nature. Massage either side of the spine gently, using our 100% Pure Lavender Essential Oil. Lavender is an excellent first aid remedy. From cuts and bruises to acne and colic it is so versatile. It is one of the few essential oils that can be used neat; a 10ml bottle will travel in your handbag so you need never be without it. When having a picnic spread the Lavender Essential Oil around the picnic area to deter wasps. If you are unlucky to be stung just dab a few drops of Lavender Essential Oil on and this will soothe the sting and reduce the risk of infection. Acne can cause terrible pain and discomfort. A few drops of Lavender Essential Oil will help reduce inflammation and prevent infection. Warmed Lavender Essential Oil will relieve painful, stiff joints. Use for rheumatism, sciatica or arthritis. Sore throat, streaming eyes, blocked nose, and generally feeling run down? Pick up a bottle of our 100% Pure Lavender Essential Oil and gargle with it or use it in a steamer. This will ease congestion and soothe sore throats. As an anti-viral remedy it will help to ease the symptoms. 100% Pure Way Lavender Essentail Oil is added to many of our own products; each bringing their own specific benefits. Use the links on our web-site to read more about each individual product and there uses. Remember only buy the best. You deserve it! The other bi-product of the distillation process is the Lavender Floral Water, CLICK HERE for information.